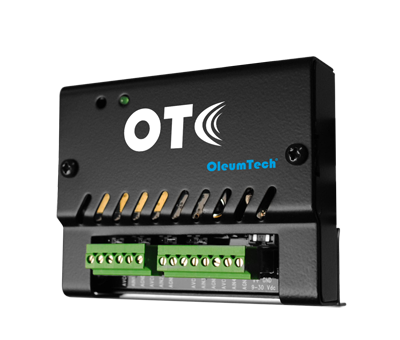 The OleumTech® Wireless Analog Input Module provides a quick and scalable solution for adding analog inputs to any OTC Sensor and I/O Network. It is equipped with four high resolution analog inputs (24-bit ADC). Each input can be independently selected for either 0-10 Vdc or 4-20 mA mode of operation. The Wireless Analog Input Module communicates with an assigned wireless gateway in the network. This wireless device is certified for use in Class I, Division 2 (Zone 2) hazardous locations. With the provided robust RF range, the Wireless Analog Input Module can rescue stranded assets by gaining visibility that was once economically not feasible. The Wireless Analog Input Module can be added to the network as needed and its points can to be mapped to anywhere within the OTC Network creating an efficient, highly advanced system that is yet easy to create and manage.